When in Maldives, relaxation is a keyword that many hotels seek to provide. There is much more than just laid back charm in Maldives however, with the country also one of the best places in the world to try some truly enjoyable activities. The best and most convenient way to experience the thrills and spills of such activities is to stay at a resort island which offers plenty of activities for both young and the old. Among the many aqua activities that Maldives is famous for one that stands out of the rest is diving. This is due to the reason that Maldives is home to some of the world’s most pristine and beautiful coral reefs and marine life. Thus, there are many world renowned diving sites in Maldives which are assured to offer you a truly mesmerizing and memorable diving experience. Maldives itself comprises hundreds of islands ranging in size and shape. Around many of these islands one can explore the coral reefs and points which provide living and breeding grounds for a variety of marine life. Diving at some of Maldives’ dive sites offers you the opportunity of witnessing amazing coral reefs ranging in size, color and shape. Apart from the corals, there are also many underwater features such as caves, pillars and even shipwrecks, which are assured to give you a thrilling and spectacular diving experience. You will also be able to witness and swim along with many different types of marine life, such as Napoleon Wrasses, Moray Eels, Turtles, Whale Sharks, White Tip Reef Sharks, Black Snappers, Unicorn Fish, and even Manta Rays. Some of the best sites for diving in the Maldives include Banana Reef, Broken Rock, Kudhara Thila, Manta Point, Maaya Thila, Cocoa Corner, Turtle Point, Fotteyo Kandu, and Kuda Haa. 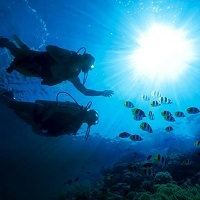 Many resorts also offer PADI certification so you can get the necessary training needed to delve into the deep exploring waters home to sharks, manta rays and submerged ships. Maldives has two monsoons - the Northeast Monsoon which lasts from November through May, and the Southwest Monsoon which lasts from June to November. Keep these in mind when picking your diving sites, as it could affect your diving experience. When it comes to a sea activity that the whole family can enjoy, snorkelling takes the pride of place. With no prior experience needed and the clear blue waters that surround the islands providing excellent viewing conditions, this activity gives you a chance to witness the colourful diversity of local marine and coral life. The shimmering blue waters of Maldives are home to a plethora of Marine life and this and the temperamental tropical-monsoon climate make it an ideal snorkeling location. The best time to go snorkeling in Maldives is from January to March, as it is during this time that visibility underwater is at its best giving you the chance to see hundreds of feet all around. The marine life of Maldives consists of nearly 70 species of vibrant coral and 700 species of aquatic animals and fish, some of unique to the islands. While you snorkel through the clear shallow waters, you will be able to see and get closer to some of them. Be awed at the kaleidoscopic array of coral reefs and its inhabitants. You will be able to see schools of colorful Sweetlips, Dogtooth Tuna, Butterfly fish as well as eels, Jacks, Wahoo and Fusiliers. Snorkeling in Maldives also gives you a chance to see rare marine life species like the giant Napoleon Wrasse. If you want a truly unique snorkeling experience why not go snorkeling at night? Many resorts offer nighttime snorkeling excursions. Going snorkeling at night gives you the opportunity to see nighttime predators such as giant Manta Rays and whales. With the mighty generous ocean enveloping the exotic archipelago, a visit to Maldives would simply not be complete without a fishing experience. Just the mention of the deep blue waters of Maldives could kindle the instant hope of any fishing enthusiast. You can always try your hand at deep-sea fishing or even sunset fishing amidst the azure waters of the Indian Ocean. Ever dreamt of grilling a fish that you have caught yourself? This is the perfect opportunity to grab the taste of the sea plucked fresh out of the ocean bed. The sense of adventure in itself is simply mind blowing while the breathtaking surroundings of the Maldivian sea provide a spectacular backdrop to your fishing adventure. Do not miss out on this great outdoor activity when you are in Maldives. The Maldives is known the world over for its wide array of water sports that provide plenty of fun in the sun and the surf. However, some water based activities are more thrilling than others and adrenaline junkies can choose from a variety of extreme water sports that will have their hearts racing in delight. Waterskiing, surfing and jet skiing are three popular options amongst those looking to rush along the waves, while knee boarding and wake boarding also provide an exhilarating experience on the azure waters of the Indian Ocean. The great wind conditions prevalent in the Maldives also make it an ideal destination in which to try activities such as kite surfing and parasailing which are bound to give you a true adrenaline rush. It derives its influences from the musical strains of the African eastern and southwest regions, and was introduced to the Maldives in the 11th century AD, no doubt by African sailors navigating the Indian Ocean at the time. Utilizing a fascinating array of traditional, rustic instruments such as bamboo flutes, Bodu Beru music starts off slow but then builds up to a dizzying crescendo that has performers reaches ecstatic states where they are completely moved by the rhythm of the music alone. It started off as an alternative to the court music of the day and quickly developed into the music of the common people, played for and enjoyed by them alone, so as you would start tapping your feet to some sweet island beats. As the rhythm of the drums takes the night, we must say that the scene and the music can quickly become hypnotic. Something that is popular among tourists visiting the Malé region is the excursion on the Whale Submarine. It provides opportunity to view reefs underwater and this exciting activity is more suited for non-divers and kids interested in viewing the fascinating underwater world. If you do not do snorkeling or diving, this is an excellent alternative. This submarine operates near the capital Malé and you are taken to a floating jetty out at sea by a boat from Malé or the Airport. It is a 45 minute dive and the submarine takes you to 100 - 120 feet below surface and moves slowly, so you can look at the corals and fishes at ease. Watch a wide variety of fish as you descend deep down the water gazing out through the large windows. Although it cannot be compared to a real diving experience, the excursion will leave you mesmerised and satisfied. The Maldives is known for its variety of pelagic fish and whales that roam its plankton rich tropical waters. As a result, it is one of the best destinations in the world for whale watching and diving with sharks. There are several Marine Protected Areas that shelter sharks and Hanifaaru Bay Marine Protected Area in Baa Atoll, a nursery for whale sharks is one. Strong currents carrying plankton-rich water makes it a feeding as well as a breeding ground for whale sharks particularly during the southwest monsoon. Although whale sharks grow up to 12 feet, they are gentle and tolerate noninvasive interactions. As a result, diving with them has become a ‘must have’ experience. About 110 whale sharks have been spotted in the region. Rangali Island on the southern end of Ari Atoll is another location where whale sharks are found throughout the year. Large gatherings occur here during full moon in the coral spawning period with the onset of the northeast monsoon. The Maldives is also one of the best places in the world to watch whales and nothing is more exciting than watching these giant creatures in their natural habitat. The most common varieties of whales spotted around the islands are the short fin pilot, blue, Brydes and sperm whales, several types of beaked whales and the dwarf sperm whale, while there have been limited sightings of the tropical bottlenose whale and orcas. Melon-headed whales are seen in large numbers in the southern atolls. Cruising on a safari boat during the whale watching season from February to April and October to November is the best way to see them. The calm seas and clear weather during these periods attract families of whales that are found tail slapping, blowing, leaping out of the water and generally enjoying themselves in the water. Looking along the horizon for a white mist rising a few feet above the water is the way to identify a whale pod. Interestingly, when their heads are above the water, whales are known to get a good look at those who are observing them. The capital city of Malé is without a doubt one of the best places to soak up the nation’s traditions, whether it is in the beautiful mosque of the Grand Friday, one of the largest in South Asia, or the antiquated Hukuru Miskiiy, the oldest place of worship in the country, composed of beautiful aged coral for an antique finish. One of the major tourist attraction spots in Maldives is the Male fish market. The fish market is a place that is always overcrowded with people. The pace increases in mid-afternoon as fishing ‘dhonis’ start returning with their day’s catch. The catch, mainly tuna are carried across the road into the open-sided market and laid out on the tiled floors. As fast as the fish are brought in they are bought and taken away by men from all walks of life. There is no set opening and closing times for market, but you’ll find the best selection in the afternoon and early evening. It is here in the ‘Local Market’ of Malé that dhonis from different parts of the country unload the dried fish, fresh fruits and vegetables collected from the various atolls. Walk through the Maldives market and witness the locals ply their wares. Sip on a cool beverage whilst you watch and haggle with the shopkeepers for some of the best deals on handicrafts, spices, or even fresh tropical fruit if you are feeling particularly peckish. Home to a wealth of cultural attractions, Malé also gives you a chance to savour the delectable taste of authentic local cuisine. Make time to visit one of the teashops known as ‘Sai-Hotaas’ where you can taste fish or coconut based treats in a laidback atmosphere, while having a refreshing drink. If Malé's crowded streets are getting you down, then take the ferry to Villingili, the relaxed next door island where you can join locals at the beach, watch soccer and cricket matches in the park and picnic under the palm trees. From Malé take a ferry trip to the nearby man-made island of Hulhumalé, a utopian town that looks set to become the new hub of the country in time to come as the sea levels rise. Spa treatments are a main attraction in many Maldives resorts as the islands offer the perfect setting for relaxation. Indulge yourself in a full body massage and then soak up the scenery with a drink in your flora fragranced oil bath. Wellness and spa treatment in Maldives is a treat that everyone deserves to have and it is a refreshing break from the fast paced, hectic work life. All islands are green with vegetation, and they are lush and fertile, providing the perfect setting for a relaxing Shiatsu massage or full body massage. Spas in Maldives are indeed the ultimate getaway as they offer seclusion, serenity, peace and the best of service whilst being surrounded by calm blue waters, soft sand beaches and amazing flora and fauna. The sea-salt air and the soft breezes only serve to lull you to quietude while you are being relaxed and rejuvenated. Many massage techniques incorporate virgin coconut oil in order to promote renewal of the body. The spas and wellness centers encourage the well being of the body, mind and spirit by allowing the guests to indulge in wellness massages, hot stone treatments, and aromatherapy treatments and so on. If you are stressed out and you need to undo the knots in your muscles, kick back and relax, deep tissue massages and mud wraps are in abundance for you. 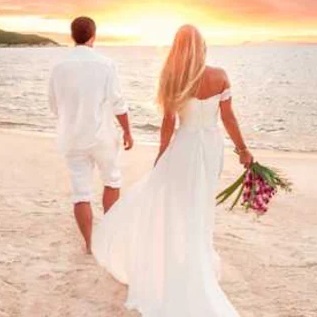 Sunset cruises are just another expression for paradise on earth. The shimmering blue waters getting touched by the last rays of sunlight while you just sit back and float along puts back the zest in life. A brilliant sunset is the world’s way of letting you know that a beautiful day has officially come to an end, and when the world says goodbye in Maldives, it does so with utter flamboyance, vivid coloring, soft winds, and an aura of peace. Enjoying a Maldivian horizon doesn’t get any better than when cruising towards it on a boat, maybe with a glass of champagne on the deck with your loved ones. The sights and the distinct spread of color across the never-ending skies alone make the ride worthwhile, but something that gives a touch of adventure to this cruise is the sighting of a dolphin. Yes, dolphins are common to these waters and are an added luxury whose sight is cherished when it comes to sunset cruises. These friendly creatures can be seen showing off alone or in entire schools right in their native habitats. Sunset cruises can be booked all over the Maldives, especially on local dhonis, which are wooden boats taking you to that heaven where the light connects the ocean and the sky. A holiday among the exotic waves, variety of reef breaks, relaxing glass walls, powerful hollow tubes – Maldives is a perfect surfing location. The Maldives, today has become one of the world’s best spots for a surfing vacation offering not only exotic waves but the quality aspect and the safety required as well. The Maldives has 3 major surfing zones spanning a region of over 300 nautical miles from Latitude 4°N down to the Equator. The North Malé Atoll contains well-known breaks such as Lohis, Cokes, Chickens, Sultans, Jailbreaks, Honkys and Ninjas, and breaks best from March to mid-October during the Southwest Monsoon, with June - August being the peak season. The North Malé Atolls offer a mix of rights and lefts featuring some long point breaks as well as some hollower reefs. 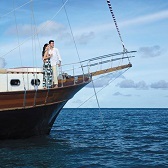 The North Malé breaks can be accessed from the Resort or a charter boat. The South Malé Atoll is only a 2 hour boat trip from North Malé atoll breaks (out of range for resort based dhonis but easily accessible with a charter boat) and has several great set-ups that on large swells will be about 2 feet smaller than North Malé breaks but with less crowd factor. The Central Atolls lie between the Malé Atolls and the outer Atolls and contain more than a dozen virtually unknown virgin waves with no crowd factor at all. The Outer Atolls of Gaafu Dhaalu and Seenu are the southernmost atolls in the Maldives. This area has a different season than the Malé and Central Atolls due to the more southwest facing orientation of the passes here, and breaks best on the Northeast monsoon which occurs between August and April. Rethink your approach to fitness and find ultimate relaxation through yoga. Yoga is a practical tool that can be adapted to suit all ages and levels of fitness. It improves general health and most importantly, brings deep relaxation which helps to improve one’s whole perspective on life. A variety of yogic disciplines are now available at some resorts designed to give you strength, relaxation and flexibility. An inner journey that generates good health and a positive state of mind. Moral and mental cultivation, soothing your stresses. Yoga classes in Maldives are irrespective of differing levels of experience, age, fitness and health. You may wish to focus on increasing energy levels, improving strength, suppleness and postural awareness, strengthening the immune system and releasing stress, all of which bring about a profound sense of well-being. The Baa Atoll of Maldives has been declared a UNESCO World Biosphere Reserve - an area of natural excellence recognised for its unique harmony between man and nature. It now joins an illustrious list of international Biosphere Reserves including the Central Amazon (Brazil), Galapagos Islands (Ecuador), Niagara Escarpment (Canada) and Yellowstone National Park (United States) among others. During its designation at the 40th anniversary of UNESCO Man and the Biosphere Programme in Dresden, Germany in June 2011, UNESCO recognised the Baa Atoll's great potential for demonstrating sustainable development throughout the Maldives and the region while relying on a green economy. Baa Atoll is home to some of the richest waters in the Maldives. World Biosphere Reserves are places where conservation, research and development successfully interconnect. They integrate biological and cultural diversity, combining core protected areas with zones where sustainable development – and innovative approaches to it are fostered, tested and developed by locals and enterprises alike. There is an enormous amount of ongoing research and projects to ensure the preservation and protection of this beautiful environment and the species that inhabit it. A lot of pioneering and ground breaking work was done by all the resorts in the atoll and in particular Four Seasons Resort Landaa Giraavaru and Soneva Fushi by Six Senses. Like many Baa Atoll inhabitants, the team at Four Seasons Resort Landaa Giraavaru worked on numerous essential plans and assessments to assist the Maldivian government's Atoll Ecosystem Conservation Project's (AEC Project) goal for UNESCO status.